Always a land of contrasts, Spain now has two housing markets to add to its “sol y sombra” national identity. One market is recovering, with homes being built again, whilst the other market has no recovery in sight. Cranes can once again be seen on the skyline of Barcelona, Madrid, and the best areas of the Spanish coast, as new developments get underway again after seven years of paralysis. But elsewhere in Spain there is a reported hangover of 535,734 homes left over from the building boom, according to figures from the Ministry of Development. Spain’s infamous glut of never previously sold homes is getting fractrionally smaller as demand recovers, and the supply of new building completions dries up, but not fast enough to solve the excess supply of homes for sale anytime soon. The excess inventory shrank by just five per cent last year, according to official figures. The real problem is, most of the glut was built in the wrong place, where there is now no demand. “There are housing developments that were built in places that never made sense,” an official from the APCE Catalan builders association told the local press. Catalonia is one of the regions with the largest overhang of unsold new homes, with an excess inventory of 82,753 never previously sold properties, in third place behind the Valencian Community (98,087 homes), and Andalusia (85,081 homes). Foreign demand has been a major help in consolidated tourist areas, so much so that new building is starting up again in places like the Costa del Sol. 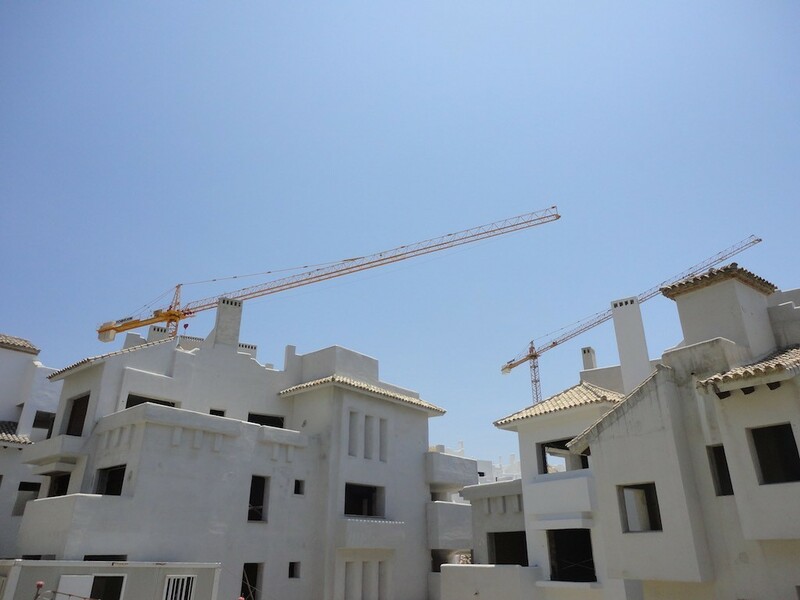 In the last year alone 29 new residential developments have gotten underway along the coast, according to research by Aguirre Newman, a consultancy, and prices have risen, by 9.5% in the case of flats, and 21% for houses. Some people would contest these figures, but even if true, they still leave Spain with a big and unresolved crisis in most parts of the country, which don’t benefit from foreign demand.